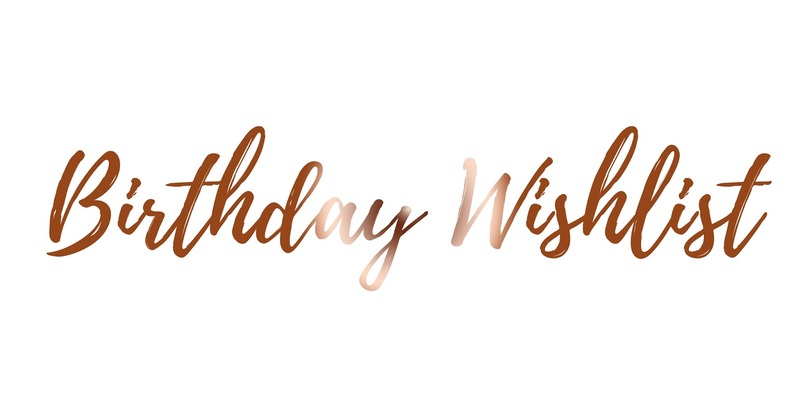 As it is now only fourteen days until my birthday, I thought why not create a Birthday Wishlist post to share with you all. I've definitely found this year to be much more of a struggle when it comes to presents or ideas of what I would like to do for my birthday. As I go full out at Christmas with my boyfriend, when it comes to the month of June, I'm really stuck for ideas! However, as my blog has become a big part of my life, but not only my blog; photography too, I've decided something I would like is different lens' for my camera so I can experiment and enjoy my passion for taking photos! Just to quickly say; I'm not going to include photos of these products, purely because of Copyright issues as well all know! However, I will be including links. 1. Nikon AF-S 50mm f1.8g Lens. The main product I am dieing to get my hands on is the 50mm Lens for my Nikon D3200 camera. I've been watching people speak about these for a year now, that I have decided I want to give it a go and see what all of the fuss is about! I have wanted a Polaroid camera for so long but I've never decided to pick one up and even till this day I'm deciding what do I want more, a 50mm lens or a Instax Mini. Maybe for Christmas; we'll see! 3. Kindle Fire HD 8. Something else I've been umming and urring about for a few years now is a Kindle Fire. Now, I absolutely love a paperback book; I have such a large collection and I'll always prefer holding a paperback book, but there's something about Kindles which makes me really want one! 4. Spectrum Marbleous 35 piece set. The Spectrum Marbleous 35 piece set is any bloggers dream; the brushes are absolutely stunning, white and grey and are aesthetically pleasing. After seeing Jodie share her picture of these over on her instagram (Jodiedcmitchell), who wouldn't want them? Last but not least, I've been thinking about getting a Macbook Pro for a couple of months now. Every blogger says they are the absolute bomb when it comes to editing photos or writing up blog posts or even editing videos for Youtube. Now, I doubt I'll ever go into Youtube but it'll make my blogging life so much easier! Would you recommend any of these? Let me know!